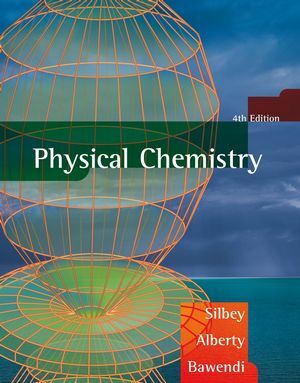 A leading book for 80 years, Silbey & Alberty’s Physical Chemistry features exceptionally clear explanations of the concepts and methods of physical chemistry for students who have had a year of calculus and a year of physics. The basic theory of chemistry is presented from the viewpoint of academic physical chemists, but the many practical applications of physical chemistry are integrated throughout the text. The problems in the text also reflect a skillful blend of theory and practical applications. Robert J. Silbey is the Class of 1942 Professor of Chemistry at MIT. His research involves theoretical studies of single-molecule spectroscopy at low temperatures, energy and electron transfer and relaxation in molecular aggregates, the optical and electronic properties of conjugated oligomers and polymers, and the transport of charge in organic systems. 1. Zeroth Law of Thermodynamics and Equations of State. 2. First Law of Thermodynamics. 3. Second and Third Laws of Thermodynamics. 4. 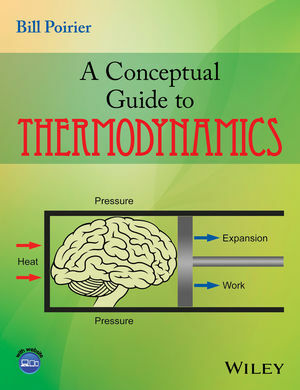 Fundamental Equations of Thermodynamics. 8. Thermodynamics of Biochemical Reactions. 13. Rotational and Vibrational Spectroscopy. 14. Electronic Spectroscopy of Molecules. 15. Magnetic Resonan ce Spectroscopy. 17. Kinetic Theory of Gases. 18. Experimental Kinetics and Gas Reactions. 19. Chemical Dynamics and Photochemisty. 20. Kinetics in the Liquid Phase. PART FOUR: MACROSCOPIC AND MICROSCOPIC STRUCTURES. 22. Electric and Magnetic Properties of Molecules. Appendix A: Physical Quantuties and Units. Appendix B: Values of Physical Constants. Appendix C: Tables of Physical Chemical Data. Appendix F: Useful Information on the Web. Appendix G: Symbols for Physical Quantities and Their SI Units. Appendix H: Answers to the First Set of Problems. Increased emphasis on the thermodynamics and kinetics of biochemical reactions including the denaturation of proteins and nucleic acids. Problems requiring MATHEMATICA, MATHCAD, MATLAB, or MAPLE are integrated throughout the text. These problems enhance understanding by enabling the student to visualize as well as to compute. The use of these computer tools makes it possible to undertake problems that were previously too difficult or too time consuming, such as two- and three-dimensional plots, integration and differentiation of complicated functions, and solving differential equations. “Key Ideas in This Chapter” sections highlight the main ideas and offer supporting statements. Updated research examples are integrated throughout the text. Extensive mathematical appendices are included.